At conferences and workshops, we’ve noticed that a lot of e-learning folks build quizzes using Quizmaker’s default form view. It’s a great option for creating quizzes quickly and easily with a consistent look and feel—but, the flip side of that consistency is that the look and feel doesn’t always match your course design. 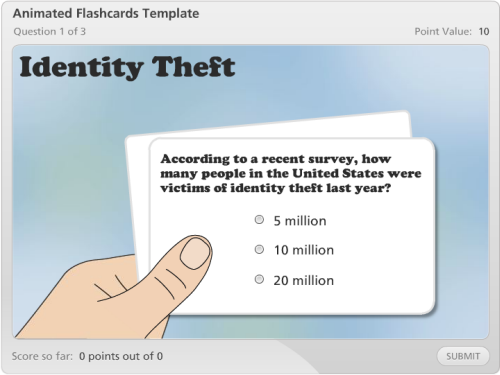 Instead of limiting yourself to the default options, take a more flexible approach to building quizzes: try Quizmaker’s slide view. It’s a free-form approach, so you can create a quiz that matches the look and feel of your course. 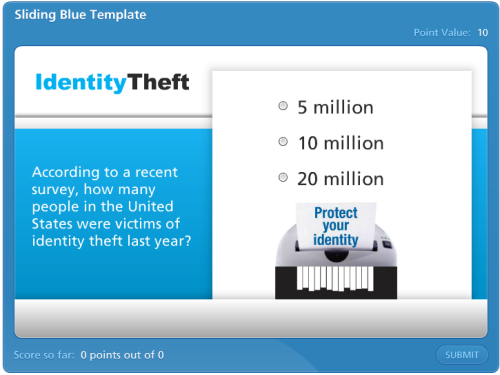 In slide view’s free-form editing environment, you can place items anywhere on the screen, add custom multimedia elements, and apply animation to customize the look of your quizzes. It’s an easy way to create stunning designs that match the look and feel of the rest of your course. 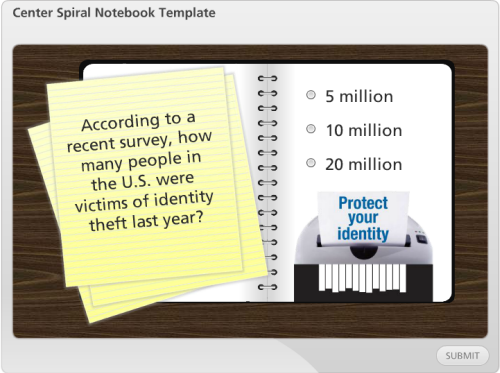 Education and Workplace Ethics Visually rich question with custom image-based feedback. Breakfast Receipt Good example of combining an image with a data entry question. Growth Chart Creative use of a multiple choice question with a custom background and feedback. Communication Tools Visually appealing use of an image-based layout and custom feedback. Big Track Video Nice demonstration of incorporating video into a quiz. DIY Tire Change Illustrates the impact of using the timeline and animation features. 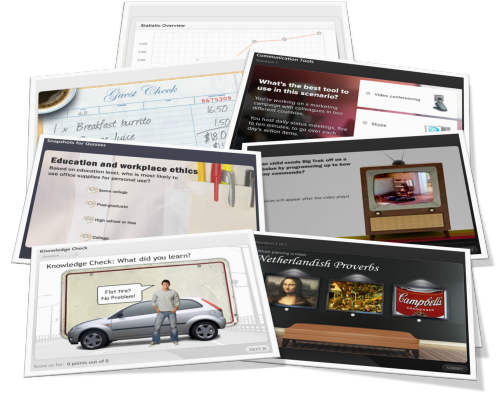 Art History Leverages the timeline and layers to create a visually engaging quiz. Still looking for the right fit? Post a thread in E-Learning Heroes! It’s the rally cry for the Articulate community to help answer a question or solve a problem. And when you’re done, post what you’ve learned or created—collaboration makes our community stronger!